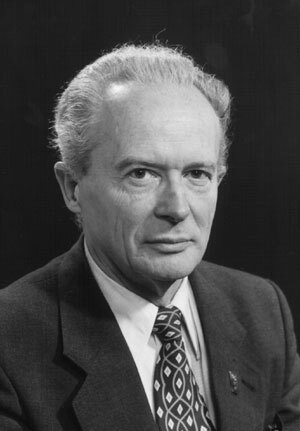 Despite a successful international academic career as a renowned mathematician, with professorships in Australia and the US, as well as his native Croatia at the University of Zagreb, it is primarily as a Japanologist and haiku poet that Vladimir Devide is now remembered. Devide was not only one of the world's most celebrated haiku poets, but a tireless promoter of Japanese culture. If Croatia is now considered a Haiku "superpower", with more poets practicing the art per capita than any other nation, it is largely thanks to his efforts. 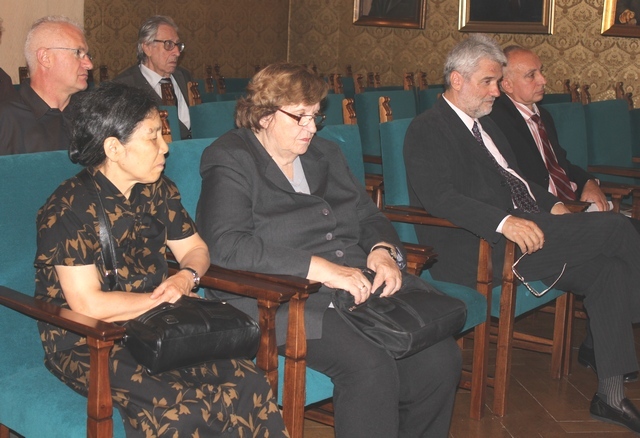 A full member of the Croatian Academy of Sciences and Arts, Vladimir Devide has won a number of awards and honours, including the Le Prix CIDALC (1977), the Prize of the City of Zagreb (1982), and for his work as a promoter of Japanese culture, the Japanese Order of the Sacred Treasure (1983). 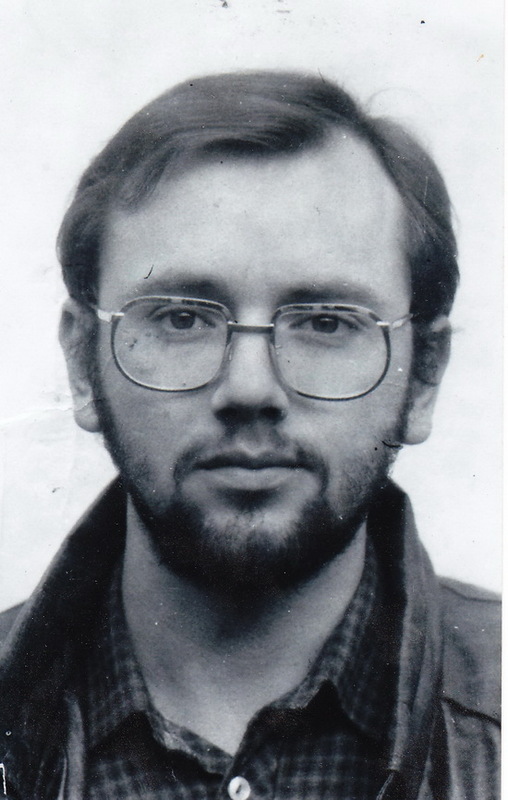 Vladimir Devide died in August 2010, and this competition pays tribute to his vision and passion for haiku. Vladimir Devide Haiku Award May 28 2011. Dr Stambuk reads the winning entry to the inaugural Vladimir Devide Haiku Award. Anyone may submit a haiku to this open competition. What style of haiku do the judges prefer; traditional or modern? The judges will consider each poem on its individual merits, and make no distinction between traditional and modern haiku. How many submissions may I make? We ask that you submit only one haiku. Can I submit a haiku that has already been published before or that is already in circulation? We ask that the haiku you submit not be already published or in circulation. In which language may I submit a haiku? Please send your submission by email to librasia@iafor.org with 'Haiku competition' in the subject heading. Please remember to include your name, address and contact details. All entries must be received by the deadline of March 1, 2012.
Who will judge my haiku? The jury will be headed by His Excellency Dr Drago Stambuk, Croatian Ambassador to Brazil, and noted poet. When and where will the results be announced? The winner of the 2nd Vladimir Devide Award and the runner up prize will be formally announced at the LibrAsia conference in April 2012, and thereafter published on the conference website. The winner and runners up, as well as those receiving commendation from the jury, will be published as a limited edition monograph. The winner and one runner up will receive a book of poetry, and if present in Osaka at the time of the conference, will be invited to the conference to receive their prize. The First Vladimir Devide Haiku Award was announced on the evening of May 28, 2011 by His Excellency Dr Drago Stambuk, founder and judge, and the Grand Prize went to Jim Kacian of the United States of America. 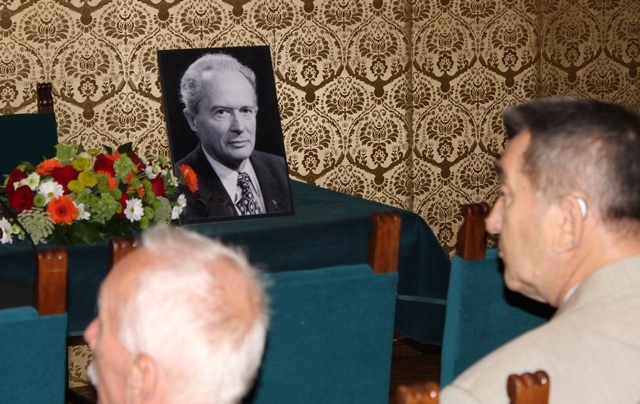 The award was named in memory of Vladimir Devide, who died last year, as a tribute to the distinguished Croatian japanologist, poet, and tireless promoter of haiku, by his spiritual successor, Drago Stambuk, renowned poet, and former Croatian ambassador to Japan from 2005-2010. The award received 166 entries from twenty-nine countries, and from this number Dr Stambuk selected ten haiku to be commended, eight as runners up, and one to be awarded the Grand Prize. Each of the haiku were read twice by the Ambassador, apart from the Grand Prize entry, which was read thrice. The Award was organized by the International Academic Forum as part of the inaugural Asian Conference on Literature and Librarianship 2011 (LibrAsia), and will be an annual event. The entries were judged on their literary merit, regardless of whether they were traditional or modern, and the award, in the true spirit of the unifying figure of Vladimir Devide, transcends haiku divisions. The organization would like to thank the many poets and other lovers of haiku who supported the event, including Akito Arima, President of the Haiku International Association, Hana Fujimoto, the organization's Secretary, Shokan Kondo, President of the Japan Renku Association, and Ban'yan Natsuishi, President of the World Haiku Association, as well as Her Excellency Mira Martinec, new Croatian Ambassador to Japan, Hiroshi Ojima, Honorary Croatian Consul in Osaka, and many others. The announcement of the award was followed by a poetry reading. Dr Stambuk read a moving selection of his poetry in English and Croatian, including extracts from Black Wave, and from his most recent haiku collection. Scots-Indian poet Bashabi Fraser then read a selection of poems that treated East Meets West themes in a very personal way, underlining both enrichment and loss. The evening ended in an idiosyncratic reading by the Grande Dame of Japanese Literature, Kazuko Shiraishi. Prof. Vladimir Devidé govori o haiku pjesništvu vukovarskog pjesnika Renéa Matoušeka. 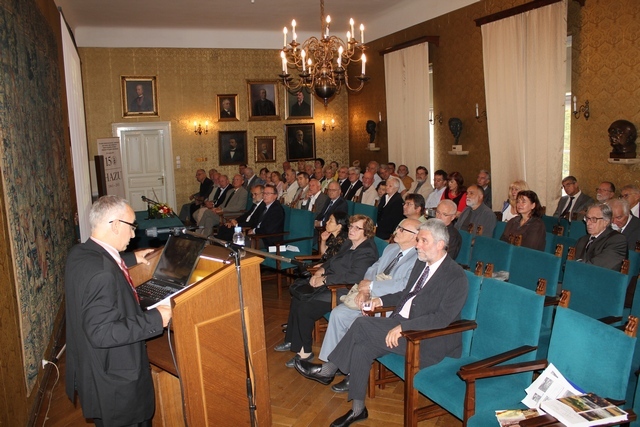 Professor Vladimir Devidé spekaing about haiku poetry of René Matoušek, Vukovar poet and martyr. 20th of November was the 12th anniversary of his death. It would perhaps not go amiss if we spent few moments to read some of Rene Matoušek’s haiku poems in order for us to share his sensibility and sense of life’s joy despite his tragedy. Životni put akademika Vladimira Devidea 1925.-2010. Gđa. Yasuyo Hondo, supruga akademika Vladimira Devidéa, mr.sc. Vera Mardešić, prof.dr. 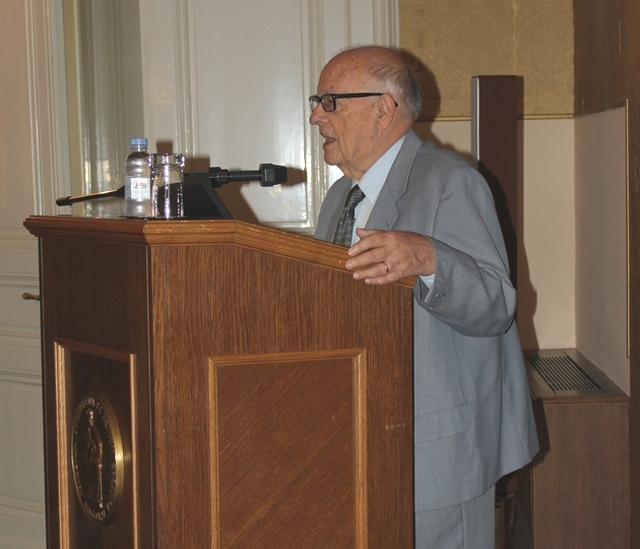 Zvonimir Šikić, prim.mr.sc. Tomislav Maretić, otraga s lijeva akademici Marko Tadić i Žarko Dadić. U sredini fotografija akademika Vladimira Devidéa.